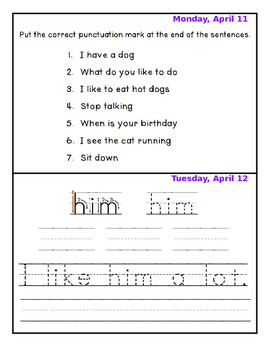 April Homework packet. This packet is in Word so you can edit the dates as needed. 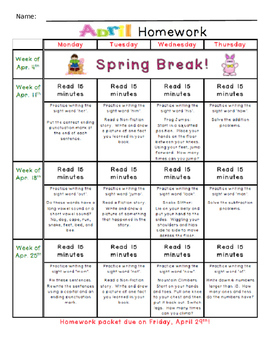 The packet focuses on 15 minutes of reading each night with a written and/or activity practice. The written practice covers printing, language arts, math, gross and fine motor activities. 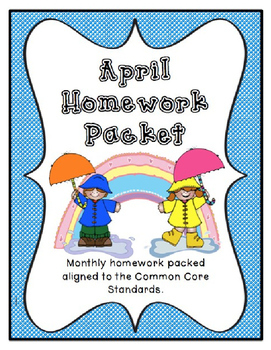 The packet is aligned to cover most of the common Core Standards.